This is Soul for today: tight, sophisticated, and up-to- date...a winner. 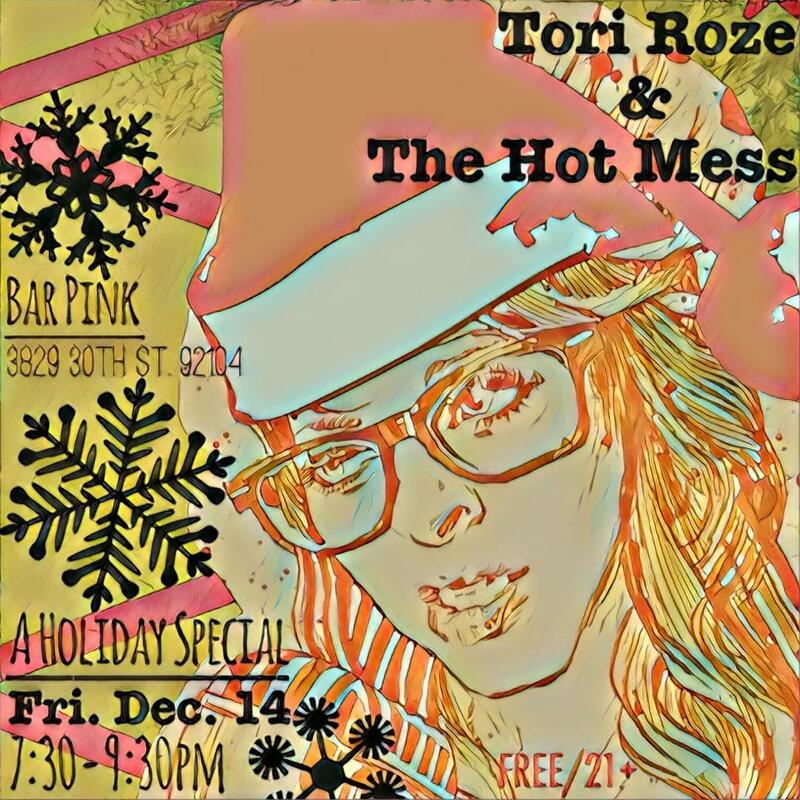 Tori Roze and The Hot Mess bring you a VERY special holiday show for ONE NIGHT ONLY @ Bar Pink on Friday December 14th, 2018 @ 7:30-9:30pm! Come ready to enjoy a ridiculous take on some holiday tunes and a tasty adult beverage, CASH ONLY bar. Tori and Johnny play originals, covers, and holiday tunes for your happy hour & dinner enjoyment! Come enjoy this FREE show from 5:30-7:30pm in La Jolla near the Torrey Pines Gliderport and Salk Institute. CD RELEASE PARTY featuring The Lyrical Groove opening the night. Tori Roze and The Hot Mess will be playing the new album in its entirety. TONS of new merchandise will be on sale including stickers, CDs, T-Shirts, digital downloads, posters, and more! Album artist, Mark Adams, will also be selling his incredible artwork.